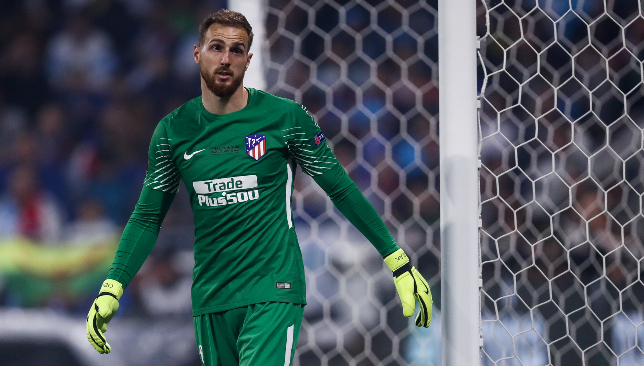 Jan Oblak – 5: Slovenia goalkeeper may feel he could have reacted quicker for Casemiro opener. Blameless for other goals. Santiago Arias – 5: Colombia right-back will not want to revisit this display again. Left in shadows by Vinicius and Bale. Jose Gimenez– 5: VAR could not save the Uruguayan when his lunge on Vinicius was punished. Later forced Courtois into an athletic stop. Diego Godin – 6: Marginally better performance than his younger compatriot. Failed to keep a lid on Benzema. Not at his best. 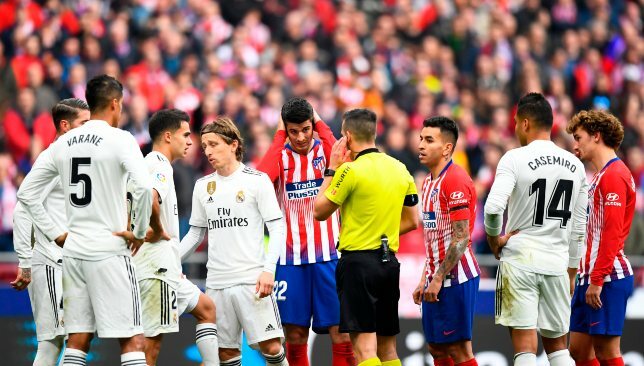 Lucas Hernandez – 6: World Cup winner kept Vazquez deathly quiet, bar one poor shot. Flung in joint-team high three crosses. Angel Correa – 7: Foul/tackle on Vinicius and wonderful pass teed up Griezmann for fine leveller. The Argentina winger was Atleti’s best attacker. Thomas Partey – 4: Ghanaian lost his head in the final throes, after losing the midfield battle. A bad display in a great season. Saul Niguez – 5: Spain midfielder needed to use his physicality and technique to killer effect. But failed to influence proceedings. Thomas Lemar – 5: Had 100-per-cent pass accuracy, but still managed to do absolutely nothing with the ball. Poor. Alvaro Morata – 6: Curious display on home bow. Denied deft chip by offside flag and booked for a dive. Lacked conviction. Antoine Griezmann – 6: Searing pace and cheeky finish earned an eighth derby goal in 28 matches. But did little else and ended game on wing. 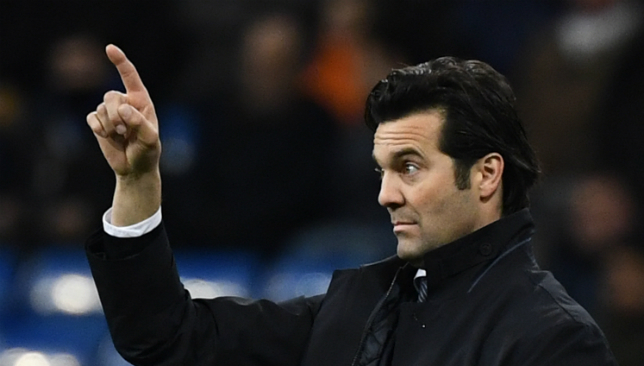 Vitolo – 5: Continues to be an expensive mistake for Los Rojiblancos. Rodrigo – 5: Was meant to shore up Atleti, but they conceded another goal with him on pitch. Nikola Kalinic – 5: That’s now just one goal in his last seven run-outs. Thibaut Courtois – 6: Ex-Atleti goalkeeper kept his composure as stream of plastic rats flew onto pitch. Made one strong stop from Gimenez. Dani Carvajal – 7: Helped ensure France left winger Lemar had another afternoon to forget in an Atleti shirt. Rattled early by ex-team-mate Morata. Raphael Varane – 6: Couldn’t utilise his pace to snuff out Les Bleus colleague Griezmann when Atleti broke. Otherwise quiet. Sergio Ramos – 7: Box-office stuff. Burned off by Griezmann for goal, then delivered a perfect penalty and pointed celebration. Sergio Reguilon – 6: Another solid display from the youngster, as Marcelo watched on. Recovered from awful foul on him by Partey. Luka Modric – 7: Kept things ticking over for Madrid, throwing cold water on the Wanda cauldron. Measured assist for Bale. Casemiro – 8: Exemplary display by the Brazil anchor man. Scissor kick gave Real an early lead. Also led the way in tackles for his team. Toni Kroos – 7: Mirrored performance of Modric in three-man midfield. Quality in possession shone through. Some player. Lucas Vazquez – 5: Spooned a delightful cross from Vinicius high into the crowd. This wayward shot summed up poor performance. Karim Benzema – 6: An artful turn on Godin in first half was worth price of attendance. First game without goal or assist in five. 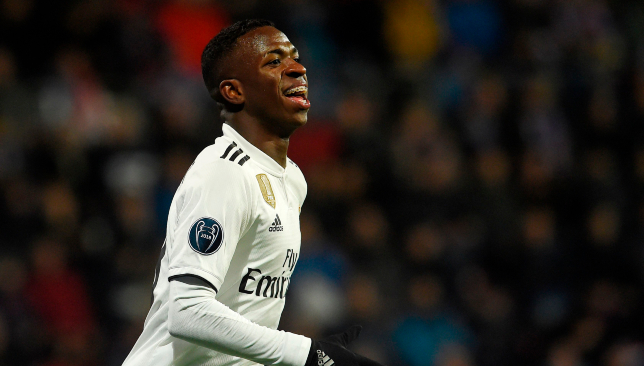 Vinicius Junior – 7: Racking up the impressive displays for Real. Stood up Gimenez and drew penalty. A constant menace. Gareth Bale – 7: Came off the bench and delivered a textbook Bale goal, low into the opposite corner. Then wasted chance to make it 101 Los Blancos strikes with a header. Dani Ceballos – N/A: Little time for Spain midfielder to impress. 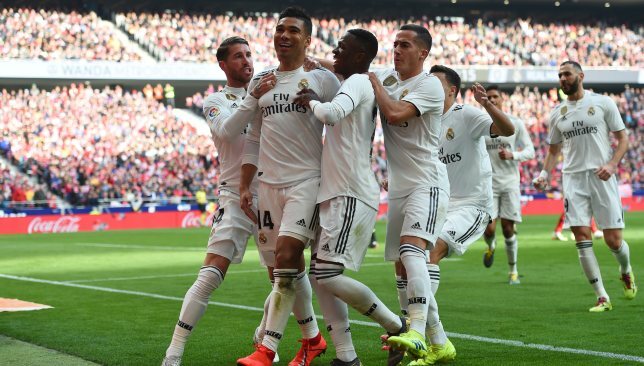 Mariano Diaz – N/A: Helped ex-Atleti and Real winger Solari run clock down.